The day kicked off like any other day, yet in the end, proved different among them all by presenting hope for both present and the future for thousands of SMEs in Kenya. 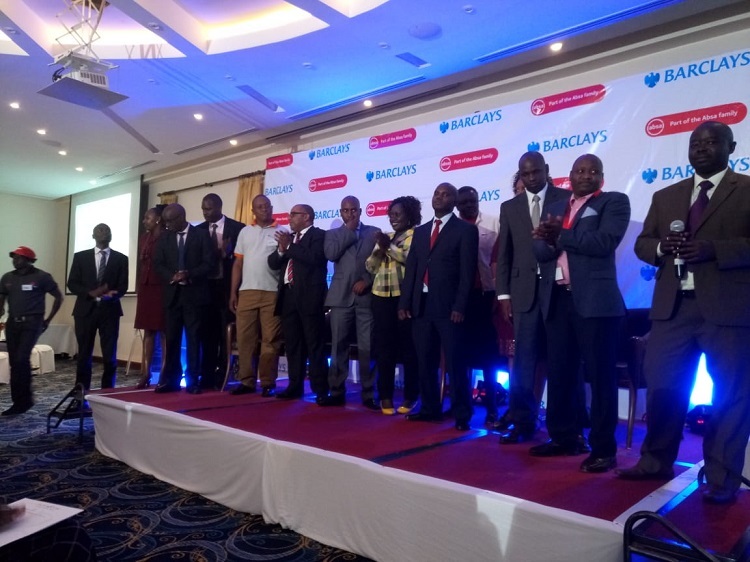 It was on Friday and I was among the Barclays Business Club members who were to attend the much-awaited SME in conversation tour that was landing in Nakuru that morning for the first time. The conversation was happening at Sarova Woodlands Hotel in Nakuru and it was an opportunity for me to meet other entrepreneurs, learn from them and exchange ideas. Being a proud owner of a small business that was struggling to remain afloat, there was no way I was going to miss that one in a lifetime session especially after a friend of mine from Eldoret bragged to me how wise he had become after attending a similar session in Eldoret a week earlier. I am a journalist by profession but run a poultry firm, currently with 800 birds. For those who have never been to Nakuru, the first visit will always give you the impression of a city whose time has come. The town is the fourth largest in Kenya after Nairobi, Mombasa and Kisumu and plans are already underway to make it the fourth capital city of Kenya. Inside the Sarova Woodlands, hundreds of young of SMEs and entrepreneurs from various parts of Nakuru had gathered and already seated on the neatly arranged chairs, with Barclays Bank banners displayed all over the room and in the corridors. This was the first Barclays event that I was attending. I had learned through the social media that the lender had rolled out a tour across seven counties with the main aim of meeting with SMEs and entrepreneurs. The aim of this SME conversation tour by Barclays Bank of Kenya is to reach out to the SMEs, allow me to call it the SME 101 from Barclays, talk to them, enlighten them on how to access funding for their businesses, access to markets as well as dealing with numerous challenges that might come knocking along the way. “The SME sector is the backbone of Kenya’s economy. This sector employs 86 percent of Kenyans and contributes more than 45 percent to the country’s GDP. It is a sector that we cannot ignore. We have decided to come to you as our clients, to let you know that we have you covered and that you have nothing to fear,” said Mr. Peter Mucheru, the Mount Kenya region Barclays Bank regional manager. The subject of the day was to help those in attendance to get access to industry experts and trade support to help them grow their businesses. This was an amazing subject given that among the three major challenges ailing the SMEs in Kenya are inadequate information for SMEs, inadequate support in terms of finances and inaccessibility to markets. I occurred to me and others in attendance that for the session in Nakuru, Barclays Bank was doing it differently. Instead of the bank staff and management addressing those in attendance, experts in various fields were brought to engage with the SMEs. Among the panel of four experts, two stole the show; Dr. Kinyanjui Nganga of Shape Africa and Friddah Owinga of Passion Profit that works in conjunction with Barclays to help SMEs build a thriving business. “Businesses fail because people are more interested in the fruits and never the roots. There is no overnight success in business. Business is a process and to succeed, you need a strong team. Remember, businesses are done for the people, by the people, and with the people. You cannot succeed without the people,” said Dr. Kinyanjui. According to Dr. Kinyanjui, businesses that value their employs do better than those that do not. “Do not get scared with the talents that your employees have. Treat your employees well and they will treat better your best customer. Hire people who are smarter than you so that they can take care of your business. Have a purpose to pursue. Successful business owners pursue purposes, not money,” he added. Friddah Owinga of Passion Profit called on SMEs not to ignore the use of social media in their businesses. “Social media can take your business to the next level if you know the right way of using it. Learn how to turn your fans on social media channels into real tangible customers,” she said. During the session, Barclays Bank assured SMEs and entrepreneurs that the bank has never stopped issuing unsecured loans to small businesses and encouraged them to visit any branch for assistance. The lender said that the fact that other players have shied away from lending to SMEs due to the interest capping law, Barclays Bank is still walking the journey of growth with the SMEs. Barclays Bank also announced plans to roll out the Barclays Company of the Year Award in 2019 that will see the best company that would have been audited under its new program awarded. The bank hopes to enroll 50 businesses in the piloting program. This is amazing. Do they have any plans of coming to Bungoma?